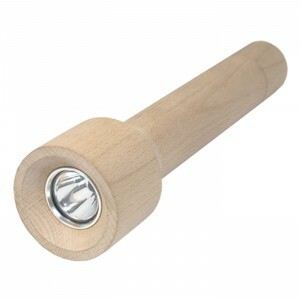 Send your BF into the wilderness with this beautiful flashlight crafted of new growth beech wood. Three AA batteries (not included) power 60 lumens. Buy the rechargeable kind and you’ve got an eco-conscious way to light up your life. Available in multiple sizes.